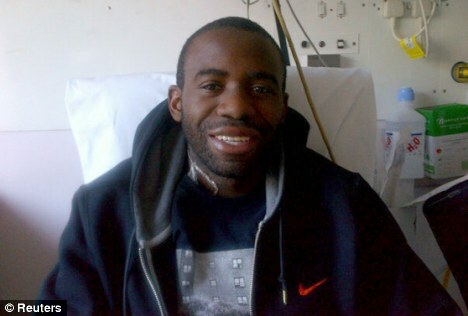 The Chances of Fabrice Muamba playing football again has been improved after the Bolton midfielder was fitted with an electrical device that could save his life. The 24-year-old is due to leave hospital on Friday and will do so with an Implantable Cardioverter Defibrillator (ICD) under his collar bone. 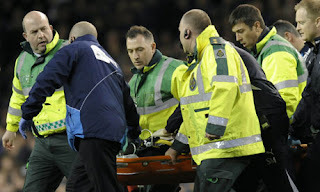 The device releases an electrical charge if it detects a heart malfunction similar to the cardiac arrest Muamba suffered against Tottenham last month. While not ruling out that what happened to Muamba may happen again, His cardiologist, Dr Sam Mohiddin is confident that the ICD is a a safety net if there's a risk. Several players across Europe have been fitted with an ICD including former Bolton Terangaa lion of Senegal star, Khalilou Fadiga who collapsed with an irregular heartbeat while Belgian Under 21 international Anthony Van Loo meanwhile was saved by the device when he suffered a heart attack on the pitch. Muamba’s heart stopped beating for 78 minutes as Bolton played Spurs in the FA Cup. He has made a remarkable recovery and will complete another significant milestone when he leaves the London Chest Hospital.